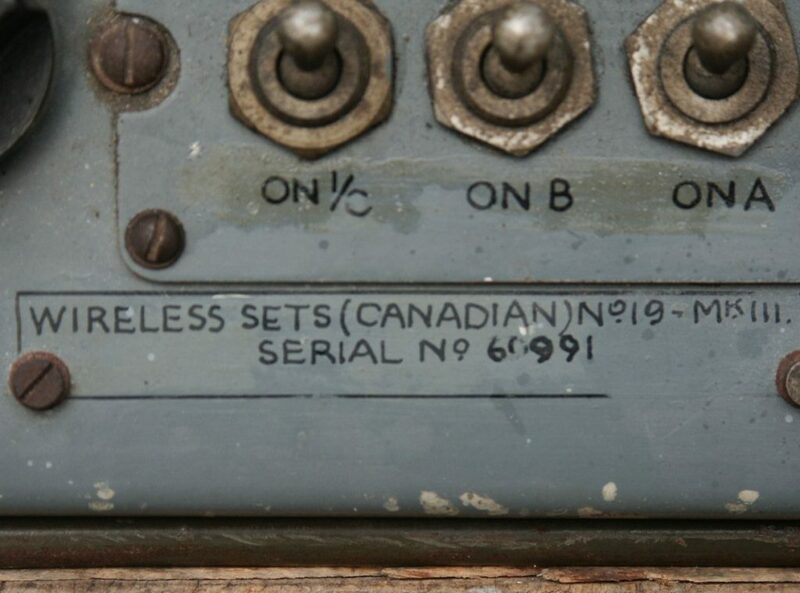 This wireless set was purchased on a radio flea market in 2007. One can be lucky, though chances are decreasing. When I came home and attached it to the PSU, it worked right away. Now I am using it since 2008 and it never failed me. Every Sunday morning I apply power to it and without tuning, it comes up with the SRS AM Network on 3.705 MHz (10:00 – 12:00 hrs Local). How about that for this 70+ years old Lady? Ask your grandmother to do that, and see what happens! The WS19 was a very versatile apparatus, for it’s time. 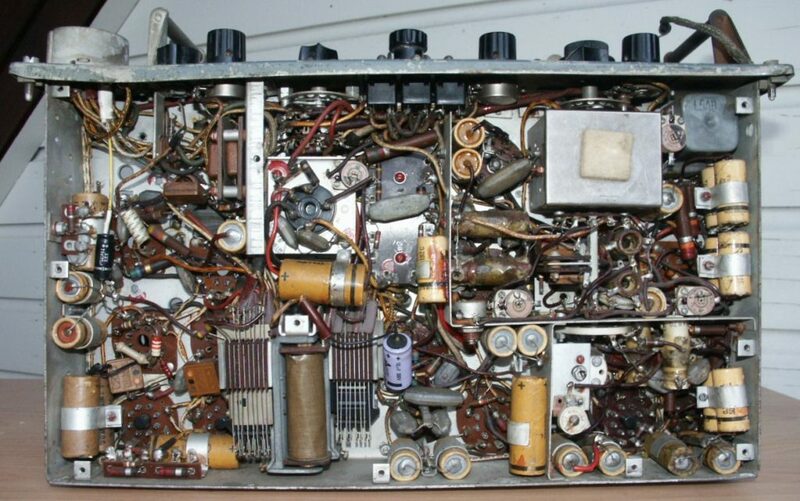 It consisted of three electronic functions that could be interconnected by means of an even ingenious system of various and combinable switch boxes. Remote Control Units even gave the operator the possibility to use the set through a 300 ft telephone wire. This set is working excellently. I do NOT touch it! The B-set is removed, cabinet holes are not covered. A previous owner might have done this, because the frequency of the B-set is not covered by the regular Ham-license. Though Army personal removed B-sets also when they were no longer used. 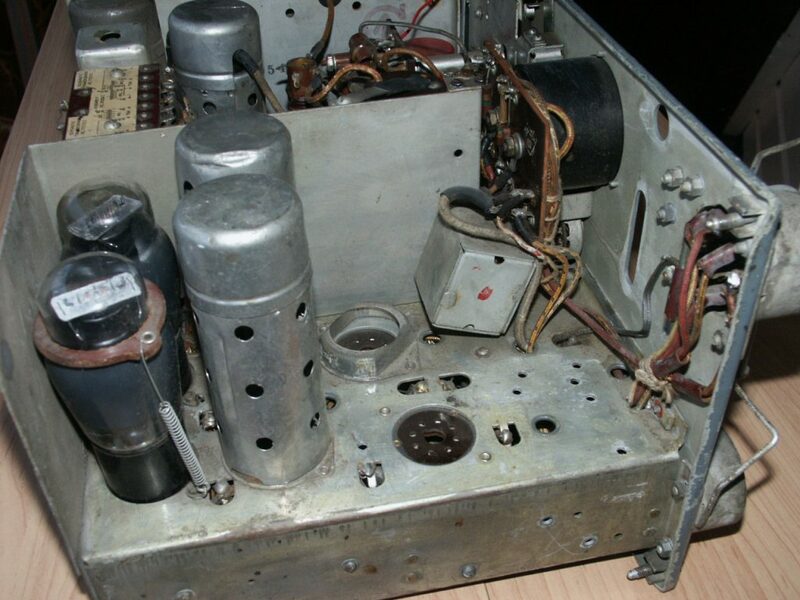 Official modification often included covering of the unused holes. The antenna coupling was replaced by a BNC chassis. HAM! 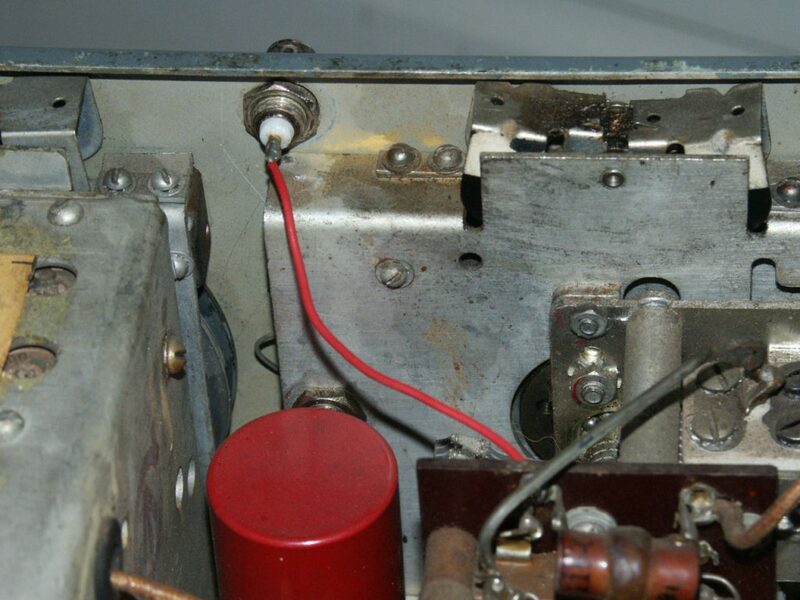 The very recognizable 3 toggle switches, making it a MK-III. – ON I/C – switching on the intercommunication function: all personal inside a tank could communicate to each other. – ON B – switching on the B-set. 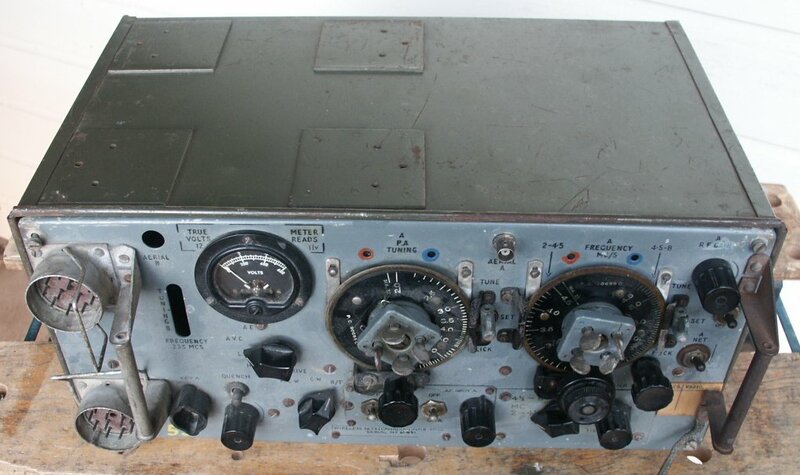 This operated at 265 MC, FM and it’s purpose was to able tank commanders to communicate to each other. – ON A – switching on the A-set. This was to communicate from tank to headquarters and v.v. 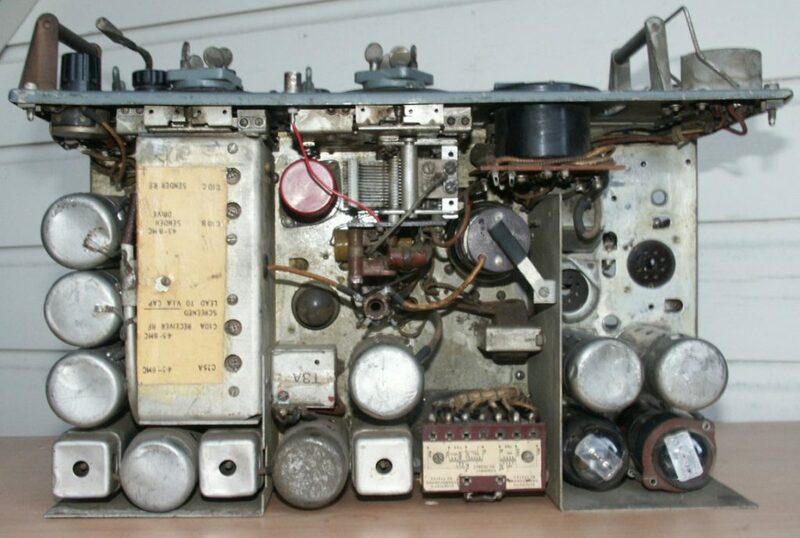 By means of various switch boxes tank personal could connect to either part of the WS19 and even relay broadcasts: A-set in to B-set out, or v.v. Straight cabinet, not like the profiled American/Canadian builds. The Black and Decker Workmate, 1968 version. Praise The Lord for that. No B-set. IC-set still present. Now, THAT I am going to change, some day. I have a chassis part lying around, waiting for that purpose. And that wire also, back to cotton covered, to be taken from a skeleton WS19. It hurts, seeing such a vast, empty plane. I have a B-set in a scrapped WS19. But it is a lot of work to re-instate that.